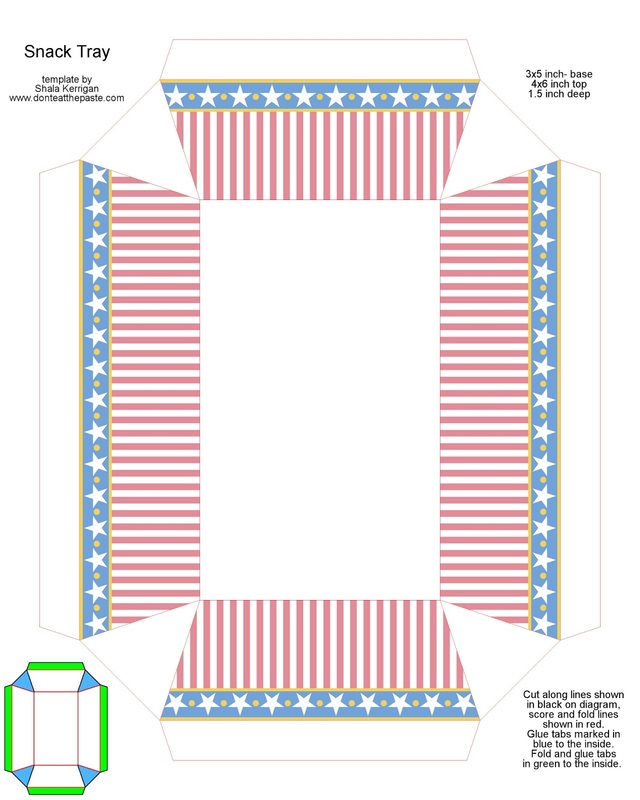 Don't Eat the Paste: Stars and Stripes printable snack tray- New Template! 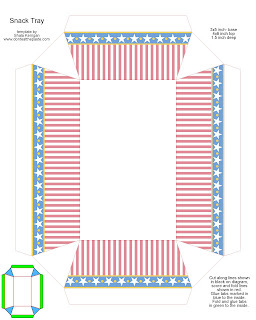 Stars and Stripes printable snack tray- New Template! 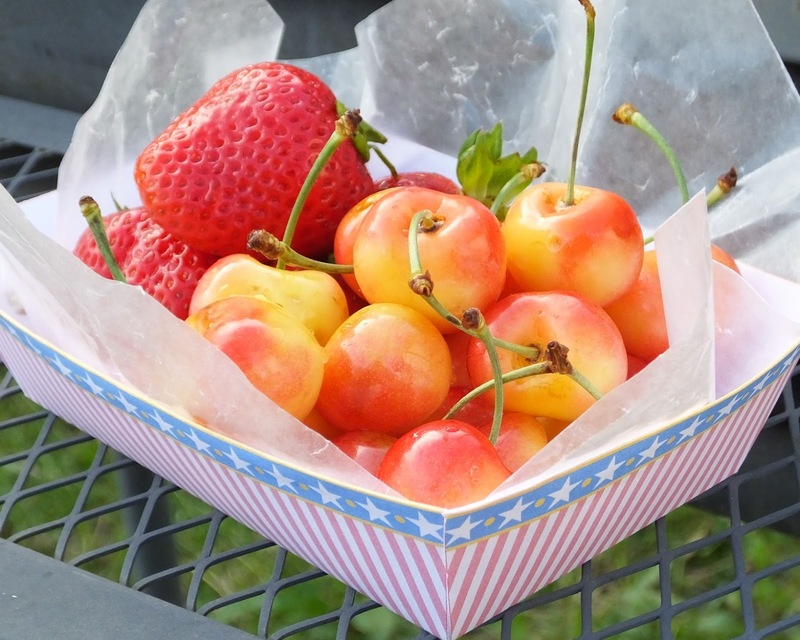 I hope you like this new snack tray! It prints out on a single sheet of card stock and the finished tray is 5x3 inches on the bottom and 6x4 inches at the top and 1.5 inches deep. As you can see, I used waxed paper to line it and protect it from moisture from the fruit. It's about a 9 inch square? I'm guessing- I didn't measure the square after cutting it. It matches the printable stars and stripes gift box posted here. Click the image below for a larger version, print it on cardstock, and cut out, score fold lines, fold, glue! Thanks for the sweet food tray!